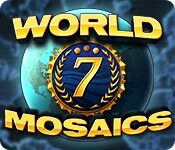 World Mosaics 7 is rated 3.8 out of 5 by 49. Rated 5 out of 5 by kate2 from I do love this game, but... I love this game itself and bought all 9 "episodes." BUT, it keeps saying to use the sun power up. On all 9 games, there is no power up! The storyline is just stupid--actually there is no storyline. The number indicators on the top and side are hard to see! Rated 5 out of 5 by hobbsdoll from World Travel This brain game is one of the best I ever played. I look forward to each scene as I solve the puzzles. Please provide a collection of these world mosaic puzzles...not just one at a time. Rated 5 out of 5 by Slythenclaw24 from Lots of play time! For people who like these types of puzzles, it is a great buy with lots of play time. It took me over 10 hours to complete the main story. Even after that there are a lot of bonus puzzles that you unlocked playing the main story line. Rated 5 out of 5 by RaNuit from Amazing! Best game ever played! Love the longer games of 25 grid. Can't wait till the next one comes out. Rated 5 out of 5 by spiritlaughing from Lots of hours of fun! 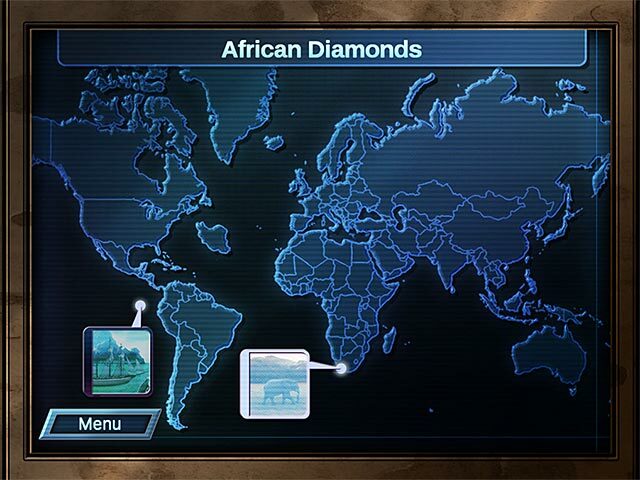 I have all the world mosaic games! Unless there is an 8th one. 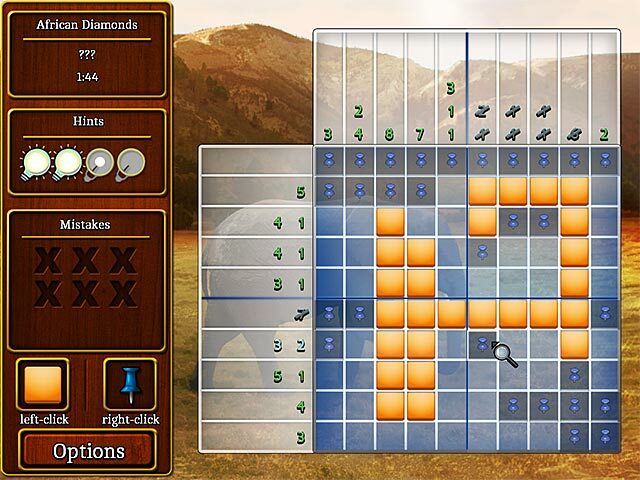 It's the type of game you can play for hours, or play just one puzzle. You have to be able to calculate which is the best way to set the right amount for which line. I like that you have to indeed use your head. But it is in an enjoyable surrounding. The only problem that I had was the tiny numbers on the grid were hard to see, and at times the photo in the background would obscure the grid it's self. Other than that this is one, or I should say, 7 games I will play and play again! Hope they continue producing them, I will play them all!!! 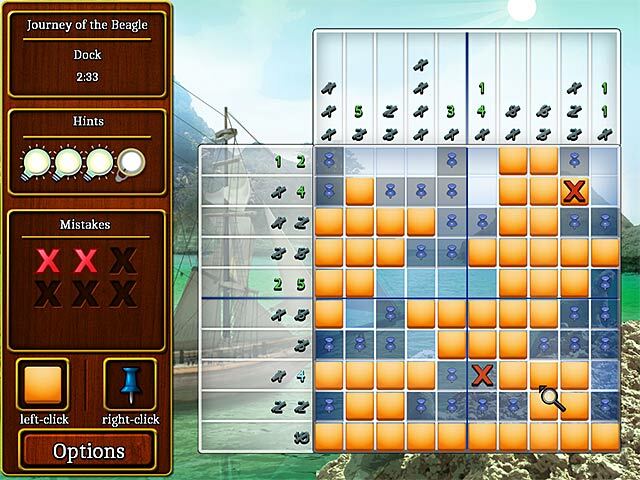 Rated 5 out of 5 by FayeQueen from Awesome Puzzles This is one of my favorite puzzle games. I would totally recommend it to anyone. Rated 5 out of 5 by grannyjudi from Finally I am a little biased as I enjoy the previous 6 versions of this game. You don't have to buy, save or overthink this game. It is really logic! Rated 5 out of 5 by frugalconsumer from In Love with Mosaic Games Have done them all and have redone many to try to improve the process. Always forget about the hints. Tried a few times to graph correct parts. Then tried taking a picture of correct parts. Too much hassle and not as much fun as watching them crumble. All in all I am addicted to the game. When Oh when will the next one come?? I turn off the music, pay no mind to the story line. I just focus to learn the rhythm of the pattern. Rated 5 out of 5 by ladllbug62 from love this game, but... world mosaic games are challenging, however, i can't give a complete review until its made for macs. i know it'll be excellent. i can't wait to play.